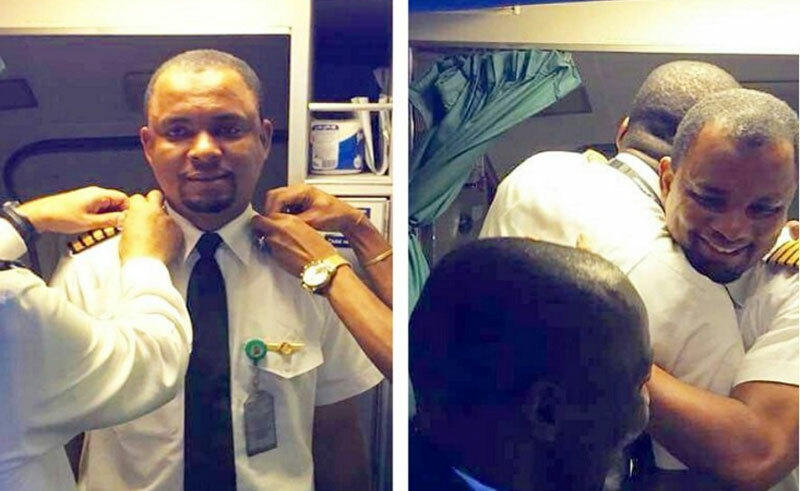 Mohammed Abubakar of Kano, Nigeria, received his fourth aviation bar which qualified him as a pilot. Abubakar began his career as an aircraft cleaner, gradually rising in rank until he was able to secure his certifications enabling him to operate a plane. Abubakar is now a member of the crew at Azman Air Services Limited, based in Kano, Nigeria.